1K Giveaway! - Apple-y Ever After! 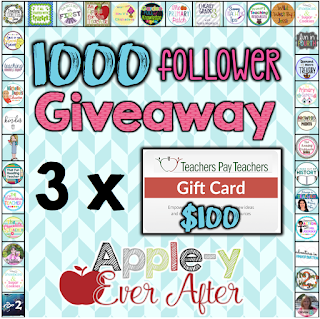 I'm super excited to be celebrating my 1K following on TpT and Instagram. In order to celebrate, I have teamed up with some amazing Teacher-Authors to give you some amazing prizes! Here is how it works! There are 3 prizes that you can win! Below there are 3 different rafflecoptors that you can enter to win these awesome prizes! There are 3 raffles. Each one is for a $100.00 gift card for TpT! All you have to do is click on the links that are provided below, follow these amazing stores, blogs, instagram accounts, etc. 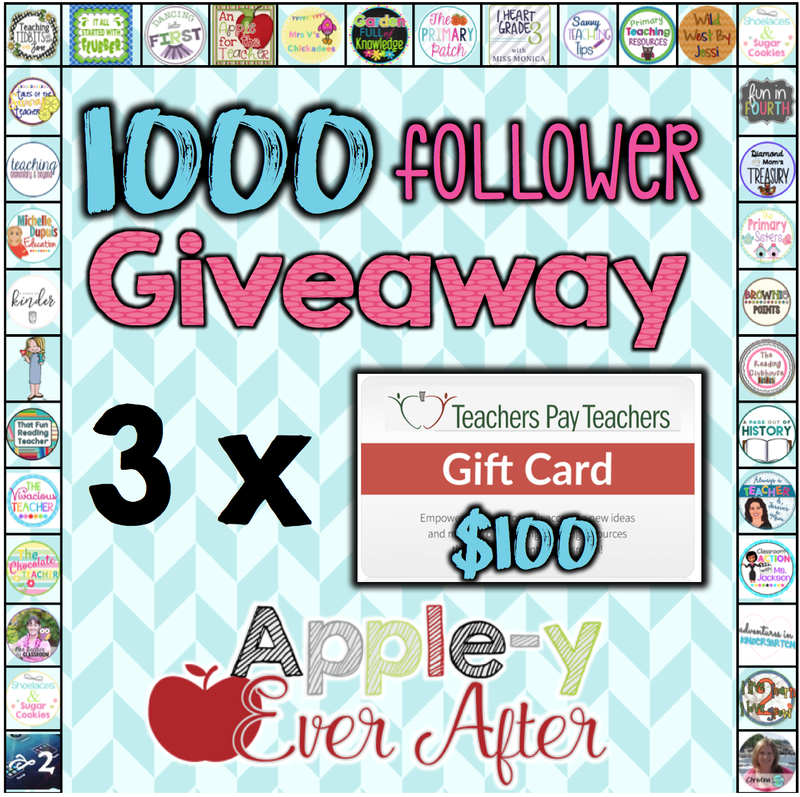 Each time you follow, you will be entered to WIN A $100.00 TPT GIFT CARD! Good luck, everyone! The raffle is going to be over and drawn on October 23rd.